It is our company’s main commitment to provide the highest possible service to our customers. This is ensured by ISO 9001 , ISO 22000 and IFS Logistics by TUV HELLAS and SQAS (Safety and Quality Assessment for Sustainability) attestation by CEFIC for both warehouses and transportation departments, covering all our business units. Furthermore, the state-of-the-art mechanical equipment, especially in our cold store facilities, provide us with all the necessary means to maintain high quality standards. As an example, all of our cold stores are controlled by accurate computer software, which allows us to have real time data for the chambers temperatures or any malfunctions. Any problem is immediately reported via phone directly to the Technical Director. This and other similar equipment allow us to have all the necessary information during our 24-hour operation, in order to keep the quality standards in the highest possible level. MAKIOS Logistics is engaged to providing logistics services with great responsibility and high security degree. 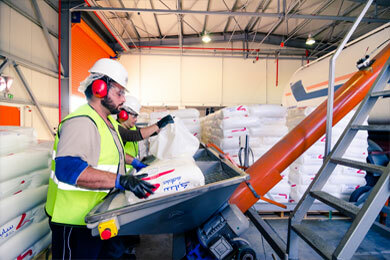 Our procedures are firmly committed to ensuring outstanding safety and quality of storage and transportation services, so that they comply with the provisions of the current legislation and our customers’ requirements, with respect to our employees, society and the environment. 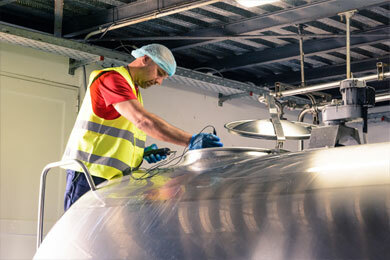 Plans and implements the Quality Management System according to the International Standards ISO 9001, ISO 22000, SQAS and IFS Logistic, ensuring the quality of the services provided for storage, transport, and repackaging of food and other products. Continuously assesses the effective operation of the applied Quality Management System, focusing on its effective development. Constantly improves its customer-oriented services as well as the efficiency of its processes, through objective and “SMART” goals. Ensures continuous training, information and training of its executives both for their personal health and safety at work and for the achievement of the company’s goals. Takes operational decisions with respect to quality, product safety, social and environmental responsibility. Invests in state-of-the-art equipment and information systems, as efficient data management is an integral part in the achievement of the company’s Quality Policy. Maintains the highest operational standards in systems and processes to protect personal data and takes a “defense in-depth” approach to protect its systems and user’s data. Aims at the safety at work and the safety of the road transportation, focusing mainly on the implementation of behavior based safety rules during its operations. Provides a working environment that is safe and secure for all employees, customers and collaborators that visit its facilities.